The bridge will have to undergo repairs after a truck got stuck under the bridge on Monday afternoon. Scarborough Covered Bridge on Covered Bridge Road in Cherry Hill is expected to remain closed for up to several weeks after a truck damaged the bridge on Monday afternoon. The accident took place shortly after 1 p.m. on Monday. A truck failing to meet the clearance limit on the bridge got stuck while trying to cross, damaging the bridge in the process. Cherry Hill Police say the bridge could remain closed for several weeks as repairs are made. The closure on Covered Bridge Road is in effect between Forge Road and Shelby Lane. Non-commercial vehicles are asked to use Pearl Croft Road and Marlkress Road as detours while the bridge is closed. The bridge’s pedestrian walkways are expected to remain open. Scarborough Covered Bridge is one of two covered bridges remaining in New Jersey. 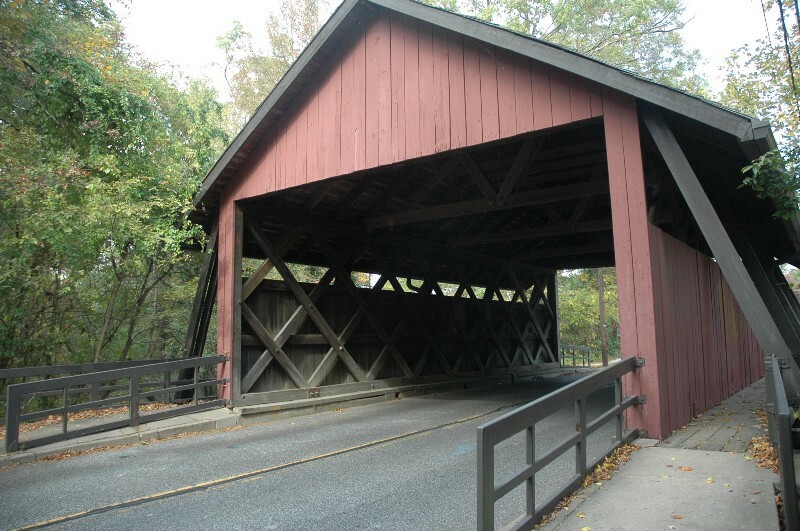 Opening in 1959, the bridge is recognized by the National Society for the Preservation of Covered Bridges for its historical value.